Workers compensation insurance coverage protects you against expenses arising from your employees getting injured on the job. Coverages for employees under workers comp coverage extends beyond just their medical bills. They can be awarded lost income, death benefits, and rehabilitation expenses as well. This is an important way to protect yourself against claims made against you by your employees. In fact, there are state laws that require you to have this coverage in certain situations. In addition to protecting yourself and meeting the legal requirements, you may find yourself in need of workers comp insurance to meet a contract requirement. A lot of contractors will ask for a certificate of insurance proving you have coverage in place in order to do work for them. If you have encountered this and you don’t have employees, you can obtain a workers compensation policy through the North Carolina Rate Bureau that is commonly referred to as a ghost policy. 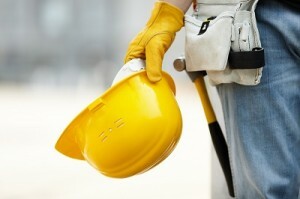 We are more than equipped to help you with this type of workers comp policy as well. If you are in need of workers compensation insurance in Charlotte and all of NC please give us a call at (704) 494-9495 so we can show you how much money you can save.